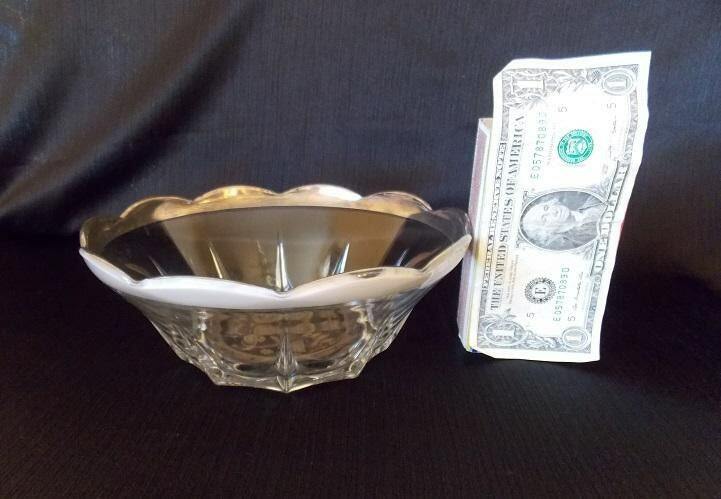 This vintage glass bowl is a was made by Georges Briard during the 1950s-1960s in a Silver Damask design. 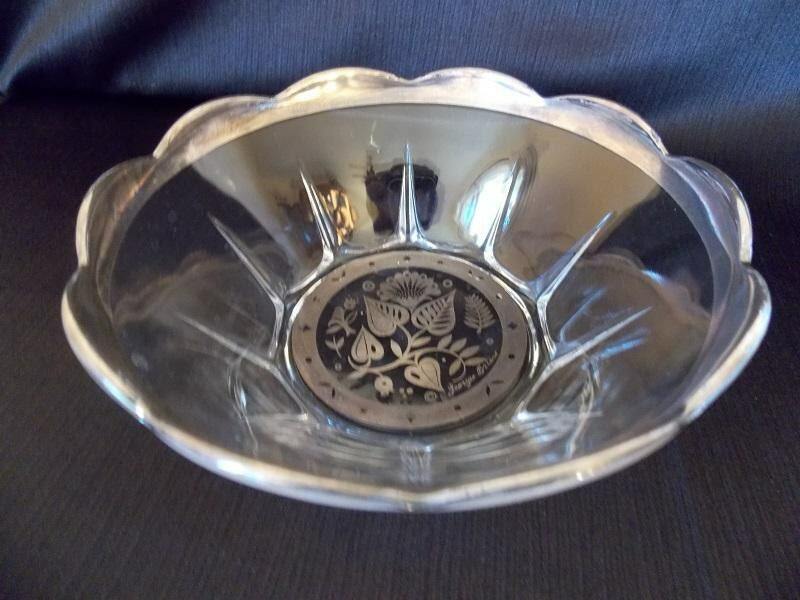 It has a floral silver overlay on the bottom of the bowl which is framed with a geometric pattern. 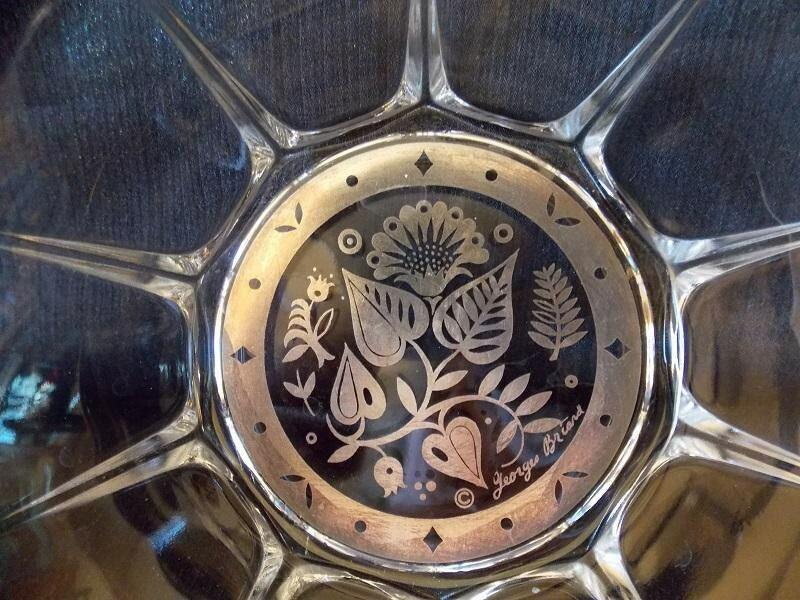 It has a scalloped rim trimmed in silver. 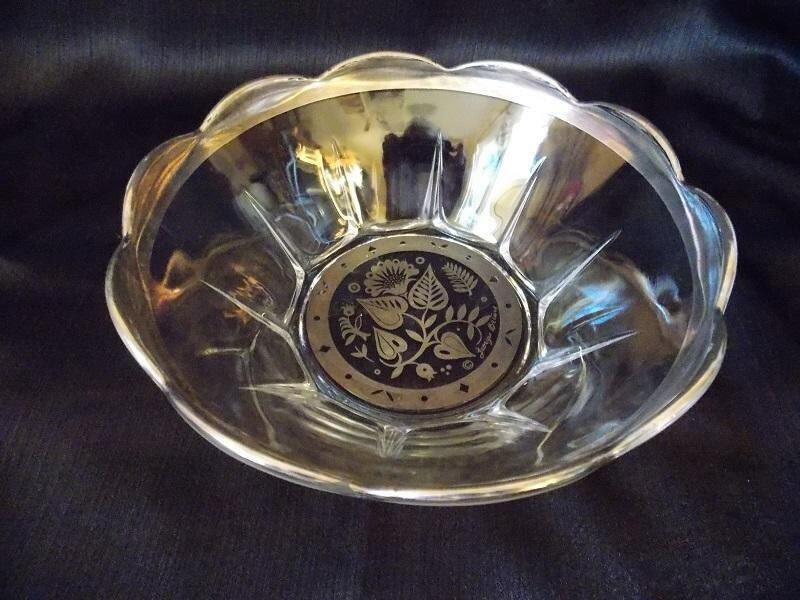 This bowl is signed "Georges Briard". 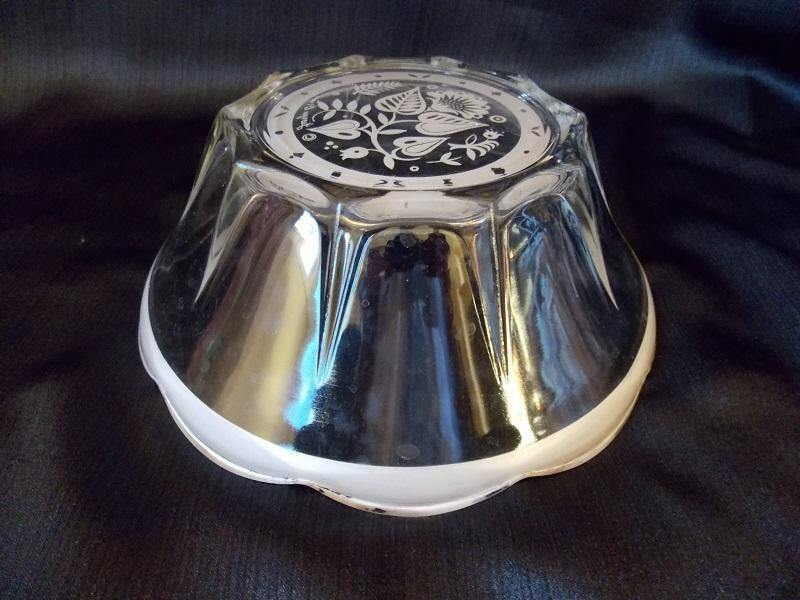 The bowl is in nice condition with no chips or cracks. However, there are some minor silver loss around the rim.